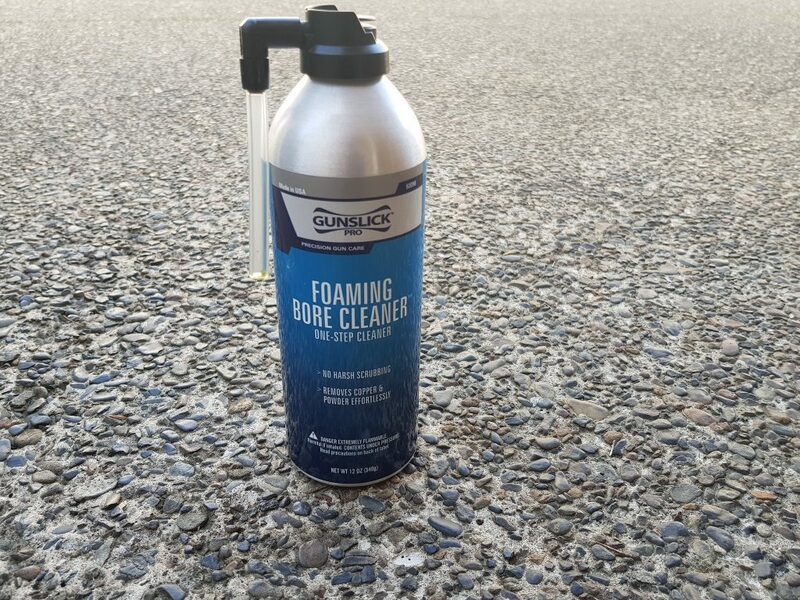 Gunslick Pro is a foaming bore cleaner – a rifle cleaning kit in a can. Once you discover it you will use it too. This great product is on the shelf at Reloaders either a 12oz can or a 3oz can. This is not for gas operated semi-autos and it may damage anodised aluminium finishes, so be careful this stuff really works. There is a myriad of cleaners on the shelf and the questions around the use of each one could fill a book. Fast, easy and effective cleaning that is simple is what we all want. The test was with three rifles with three types of ammo. 308 reloads, military ammo and primers and Reloaders Hornady ammo. After a day on the range all three rifles were cool, unloaded and bolts out. Then insert the spray can nozzle in the chamber end of the barrel and spray – carefully! The spray expands and for your first time quite a lot will spray out the end of the barrel and onto the floor! Pro Tip: Leave your rifles with the foam in the barrel flat on the floor with a rag at each end to catch drops. Spray and walk away applies here too, leave the rifles flat for 15-30 minutes. By this time the spray foam has liquefied so be prepared for blue drips (the colour of dissolved copper) on the rag at the muzzle when you pick it up. Then run an oily rag through the barrel, which pushes out the blue coloured liquid onto your rag on the floor, showing all the copper that has been cleaned out and the black on your rag shows the powder residue is gone too. Just how effective is the clean? After doing the above clean, with one oily rag to finish, I left the rifles in the safe for three weeks. After all this time I ran another rag with another cleaner through the barrel. All rags were clean- see the picture – OMG even the dirty old military ammo residue had been cleaned away, and the rag although slightly discoloured was impressive seeing no brushes or any other scrubbing had been done. 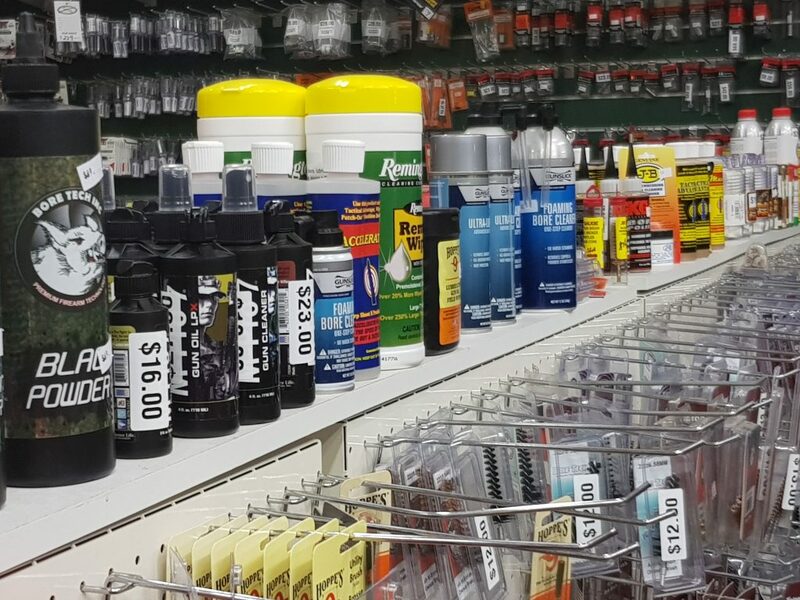 Just spray, wait 30 mins, oily rag – It is an effective, fast clean on your rifle. 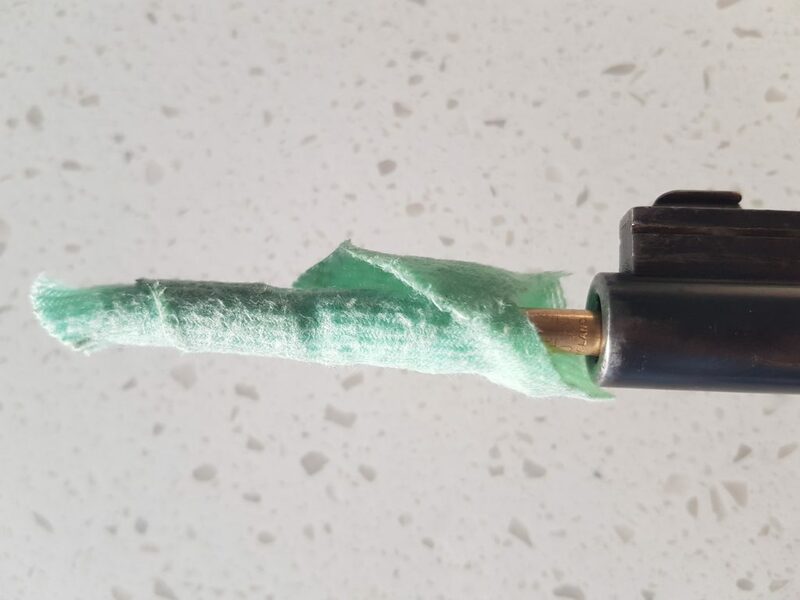 Gunslick Foaming Bore cleaner will be one of the most useful things on your gun bench.